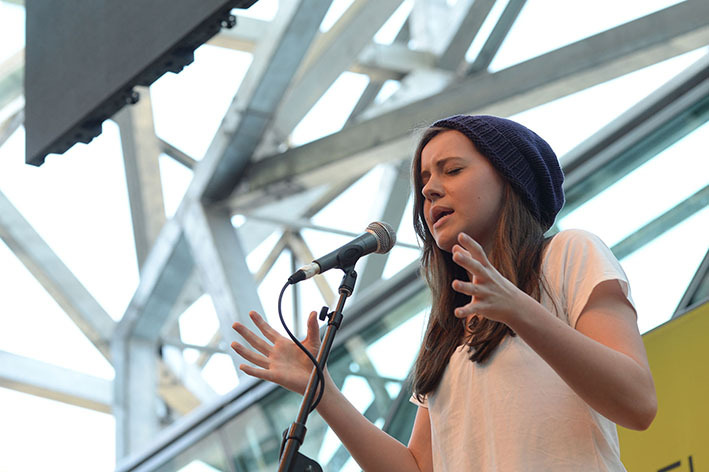 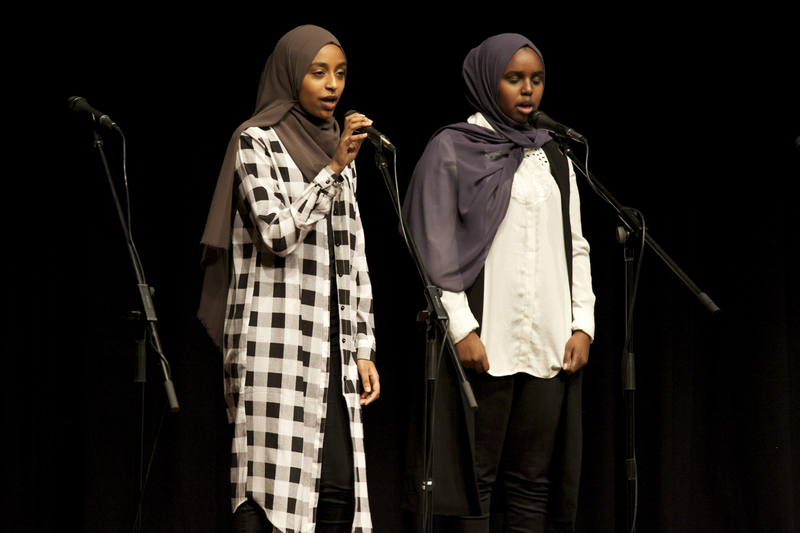 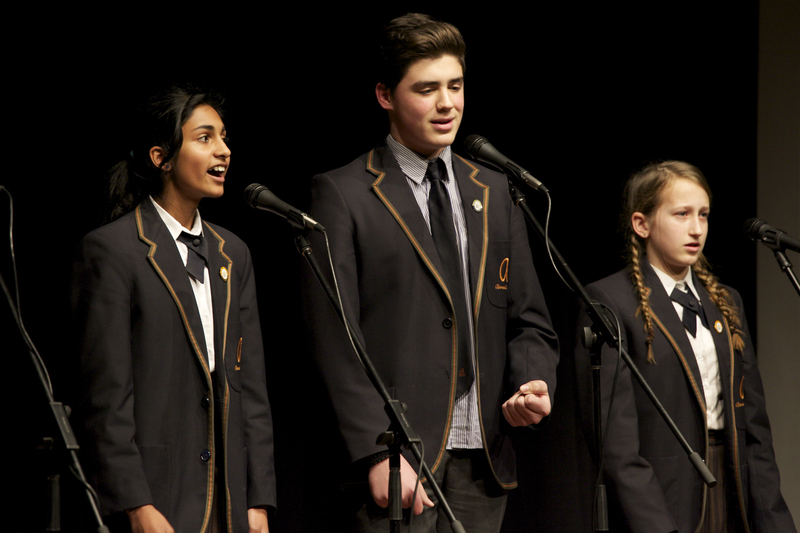 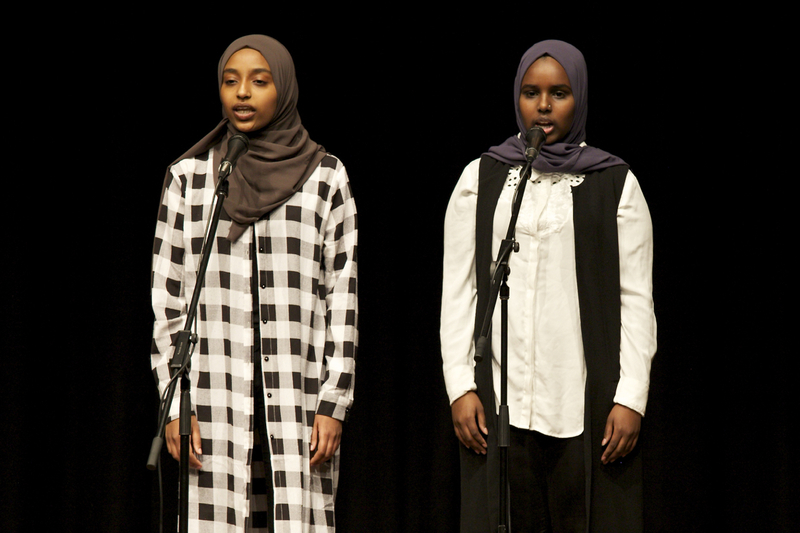 OutLoud - the Victorian youth spoken word poetry slam! 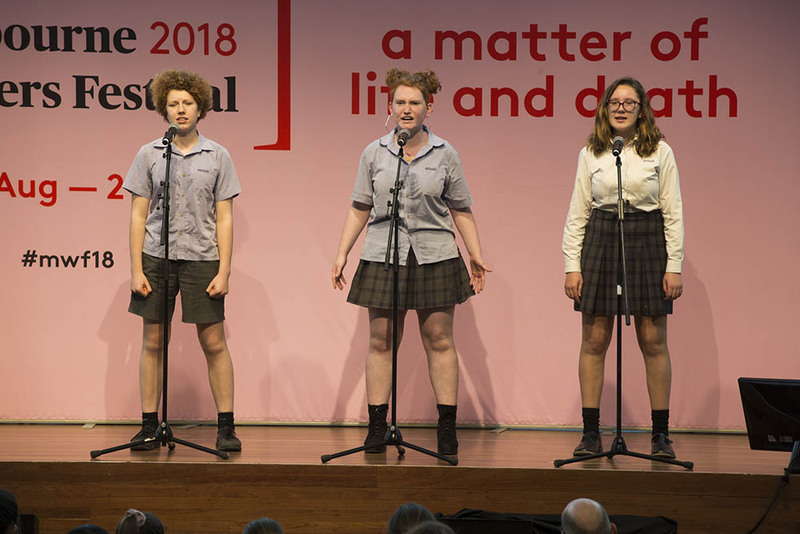 Click here to subscribe to our YouTube channel where you can view all all your faves performing live in prior OutLoud Slam Poetry competitions! 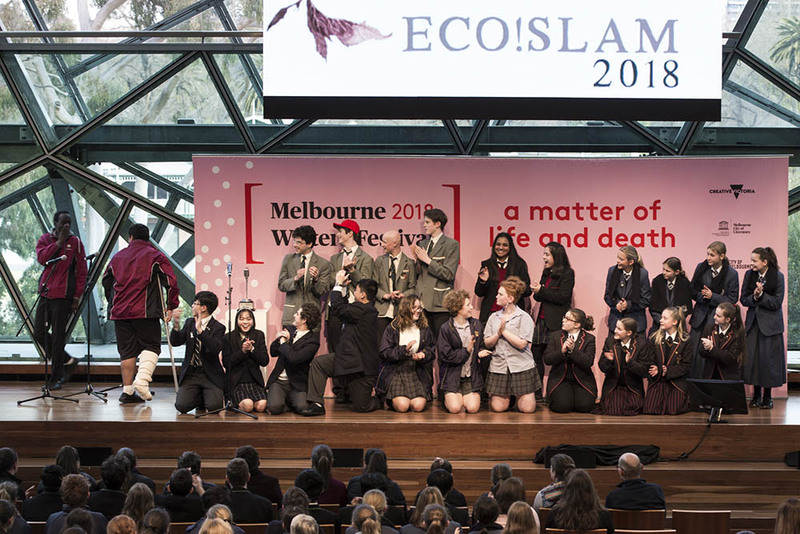 OutLoud Secondary Schools Eco!Slam 2019 is a spoken word slam competition where secondary school students compete in teams of up to four. 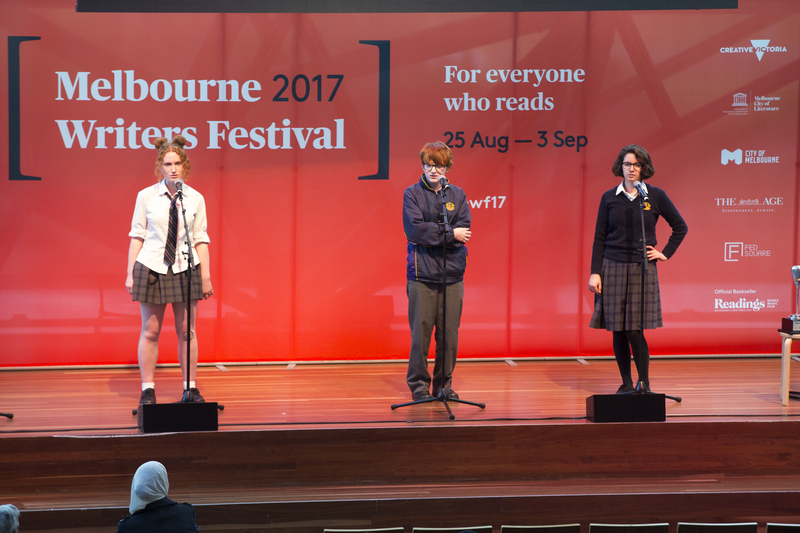 They will write, choreograph and perform their original work for a panel of professional judges as part of the Melbourne Writers Festival. 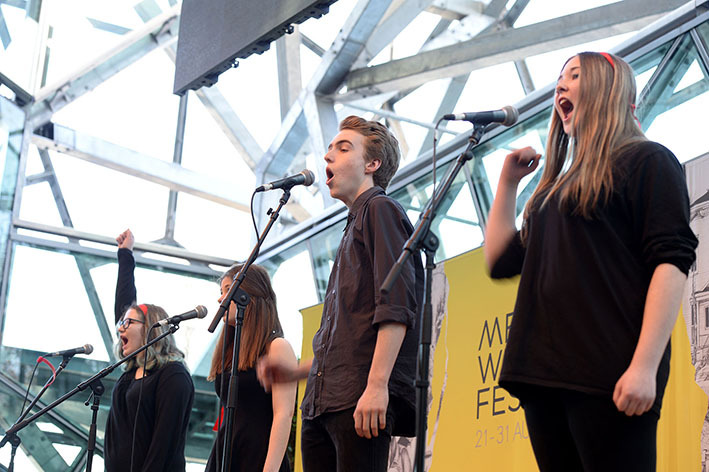 OutLoud continues to be supported by the City of Melbourne Arts Grants Program in 2019. 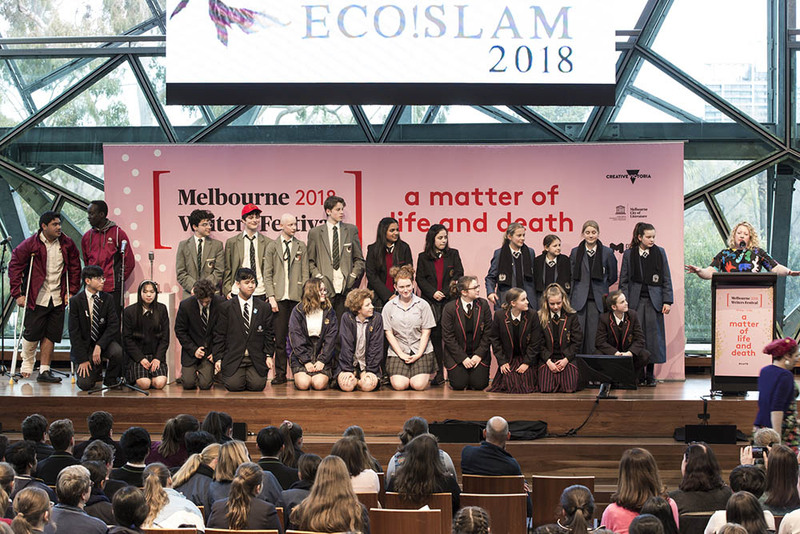 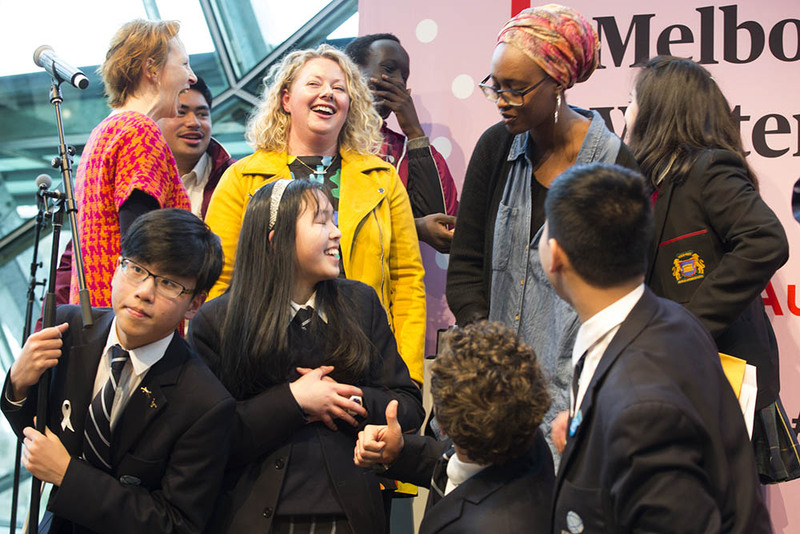 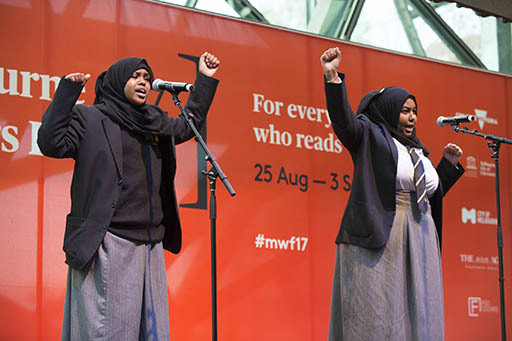 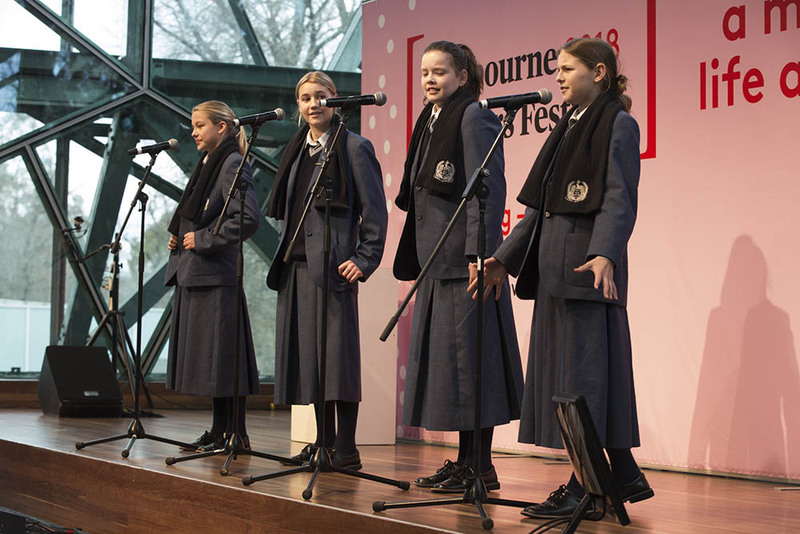 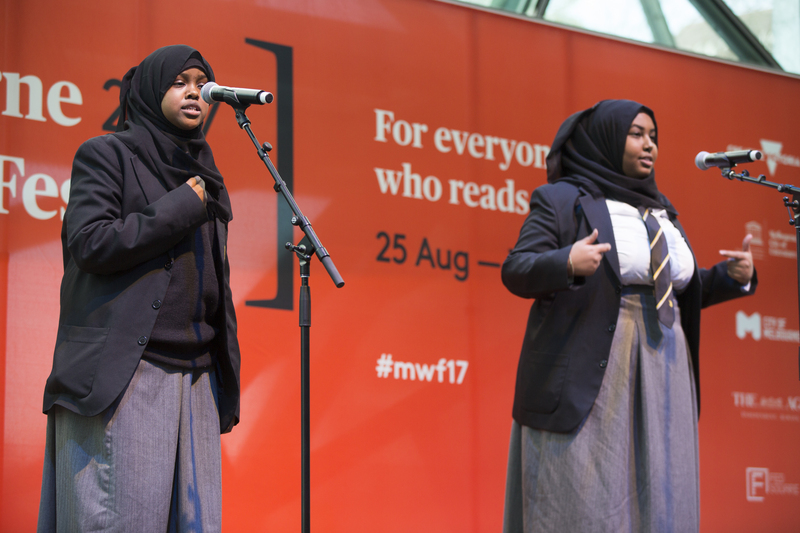 2019 OutLoud Eco!Slam partners are MWF, Royal Botanic Gardens Victoria, Red Room Poetry and Express Media, encouraging students to create poems inspired by the environment. 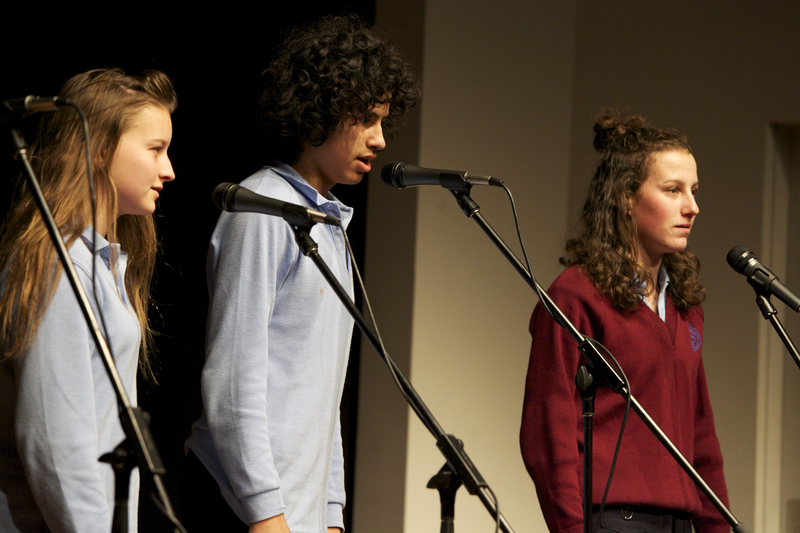 However, students can also create poems based on other themes. 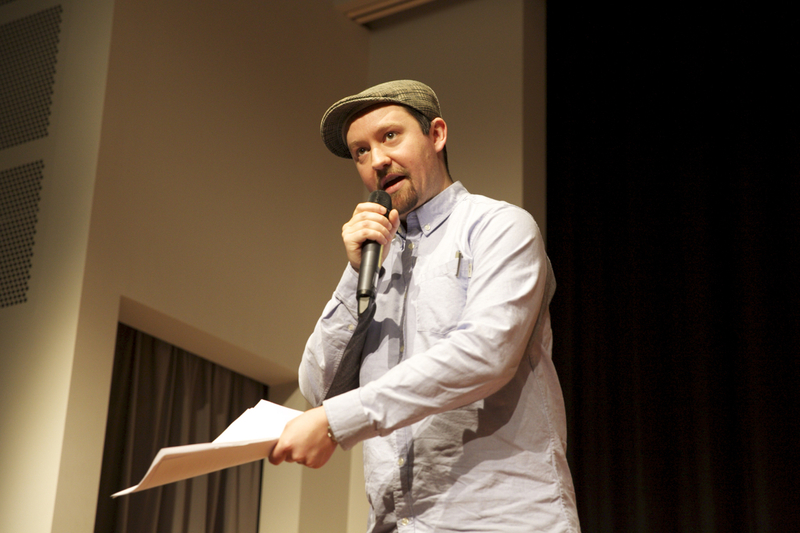 The registration fee (not including workshops) is $275 per team entry. 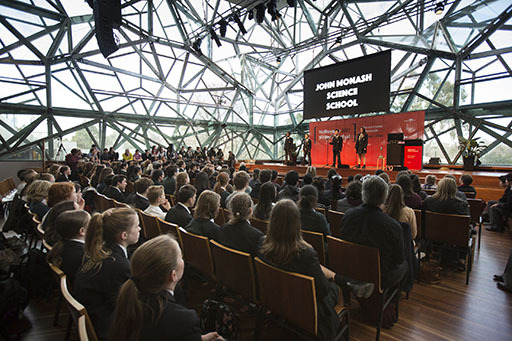 Schools can enter more than one team. 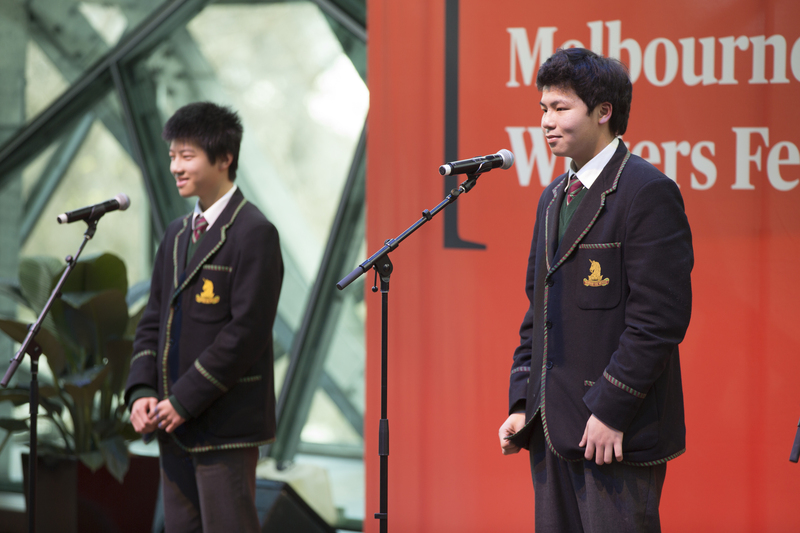 A second or more team per school has a registration fee of $100, on top of the $275 for the first team. 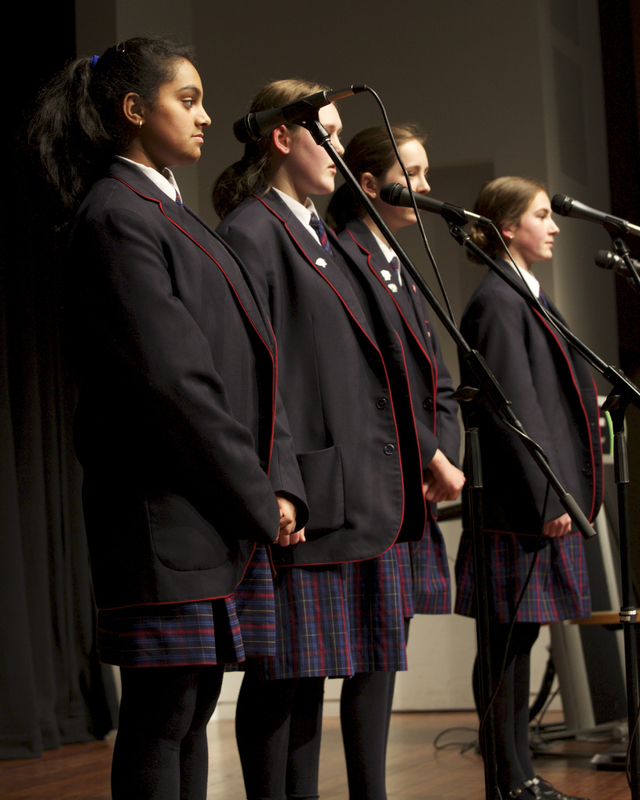 Only one team from any one school, however, can be selected for the Final from heats. 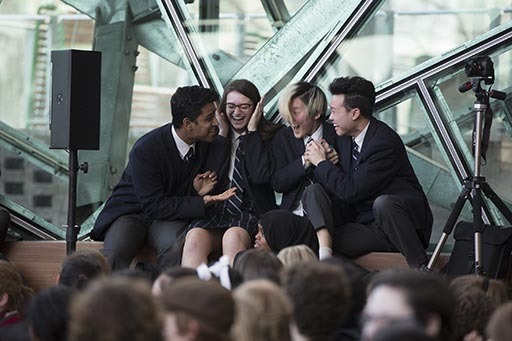 If your school suffers financial disadvantage, please discuss this with Jacinta directly on (03) 9094 7829. 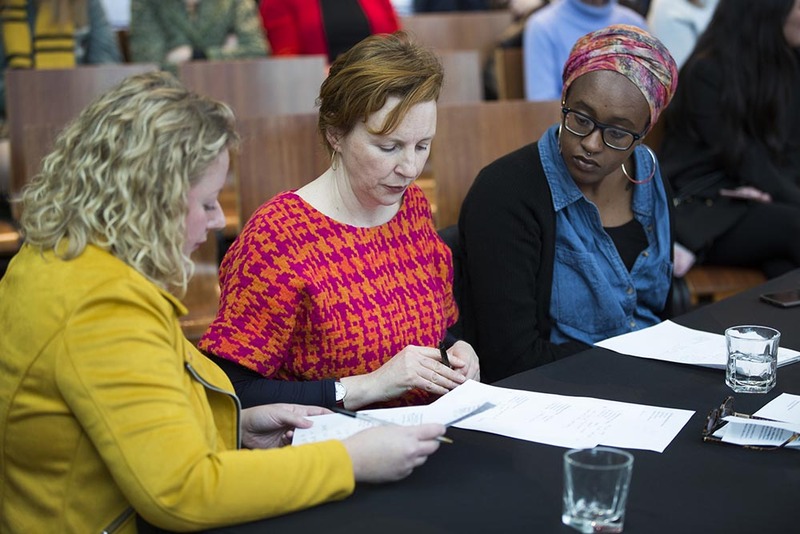 Would you like a workshop? 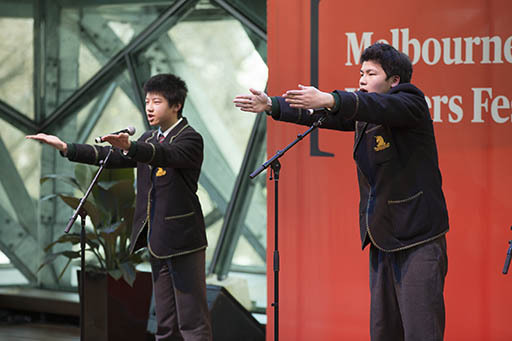 Would you like to participate in a slam poetry workshop at the Royal Botanical Gardens Victoria? 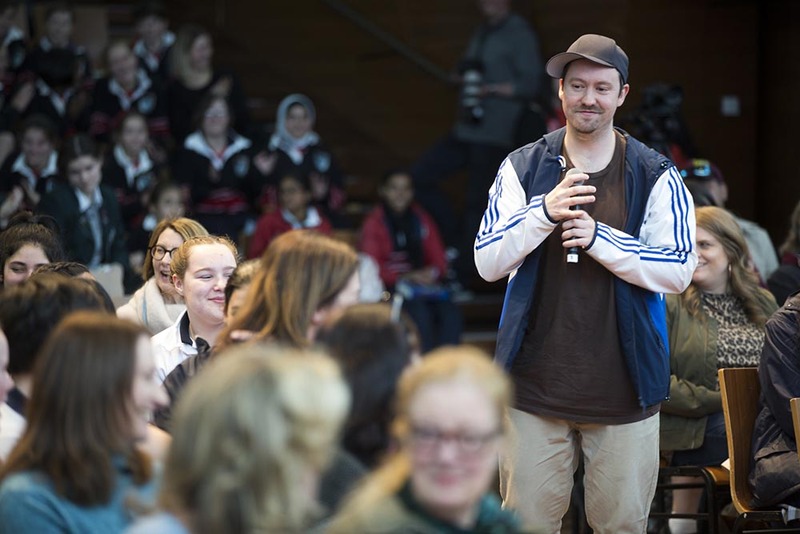 Slam poet-teachers can also visit your school for a workshop. 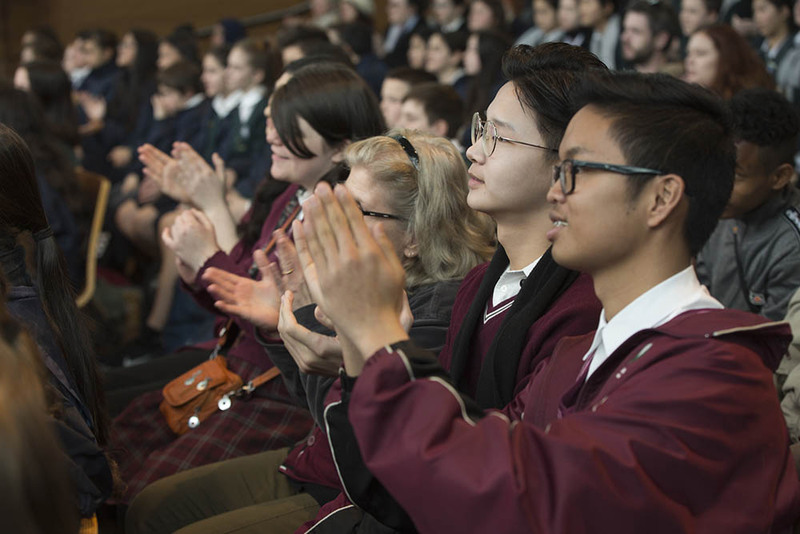 If a school is a first-time participant, it is strongly advised that your school has both a workshop and a prior presentation, which takes place on the same day. 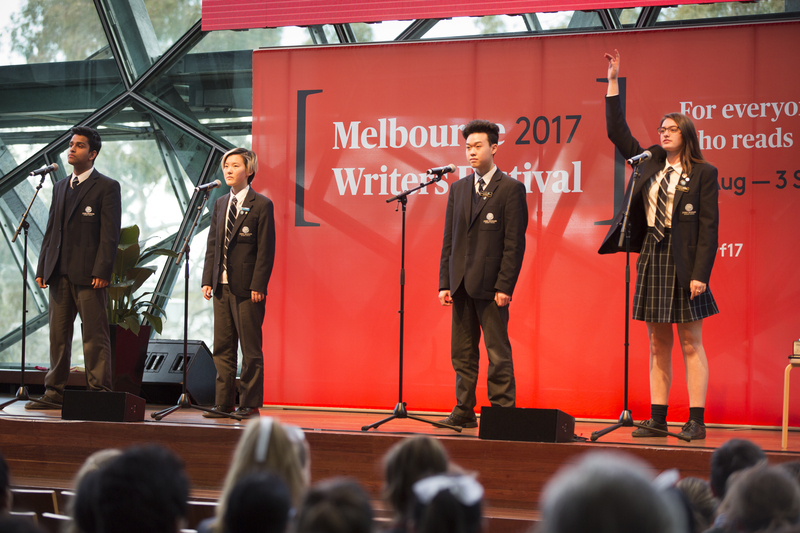 Using the wonderland that is the botanical gardens, slam poet Emilie Zoey Baker and other gifted poet-teachers will guide students to write new eco-themed or other themed work. 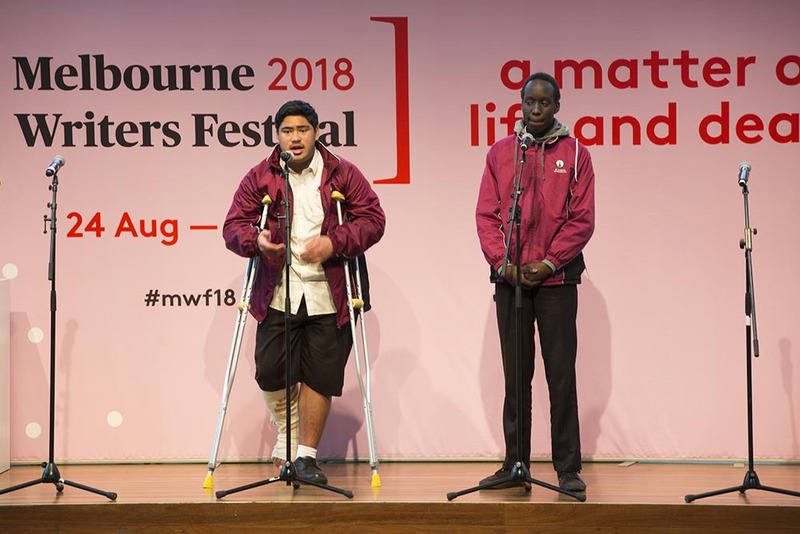 The workshops go for 90 minutes (limit 30 students each, workshop cost, $400) and before starting schools are encouraged to go on the free 30 minute New Shoots poetry walk where poems have been ‘planted’ round the gardens. 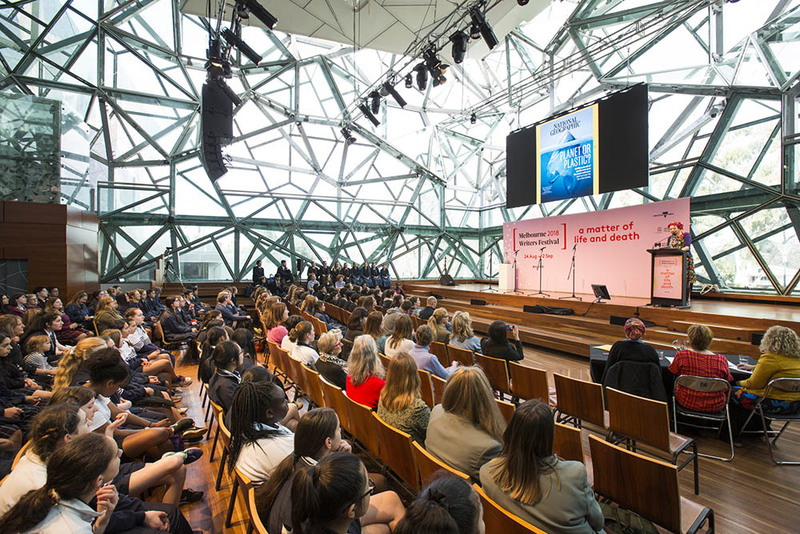 If you book a presentation (60 minutes) with a workshop following (90 minutes), the cost is $600 in total. 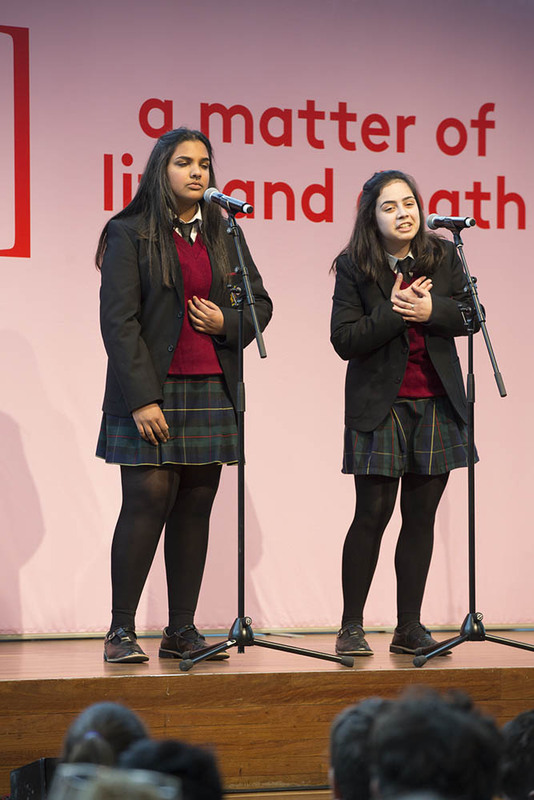 Using slam, rhyme, metaphor and simile students will connect words to the sky, sentences to the ground, make paper planes and find buried texts. 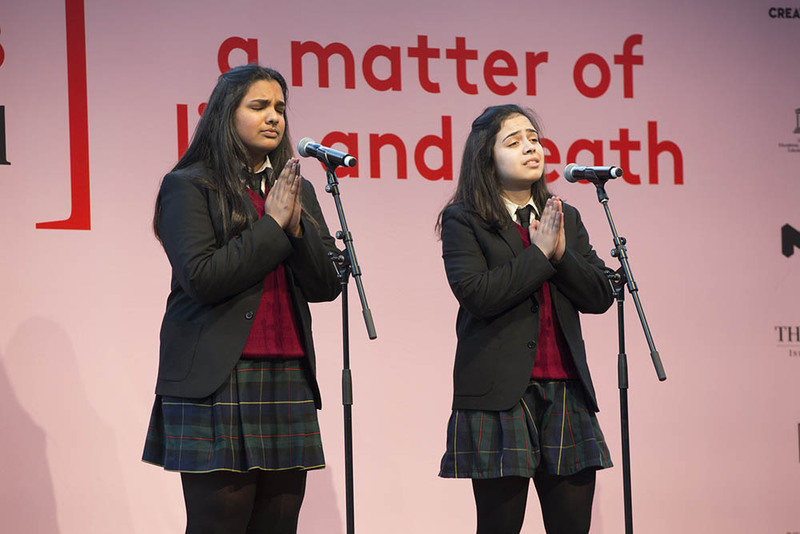 They will leave with nature or other songs on their fingers and flowers blooming in their ink. 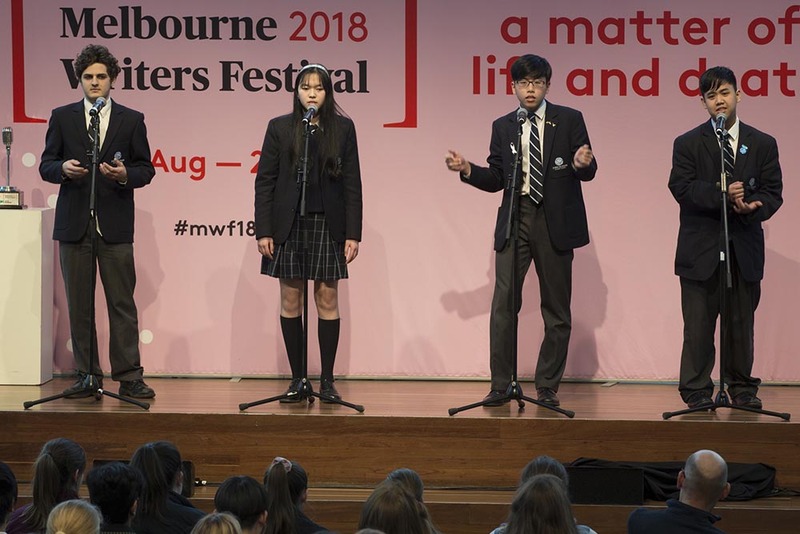 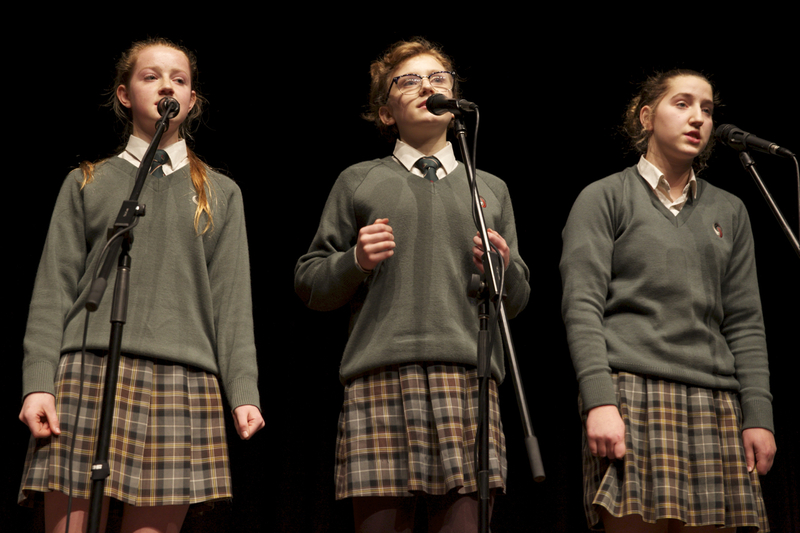 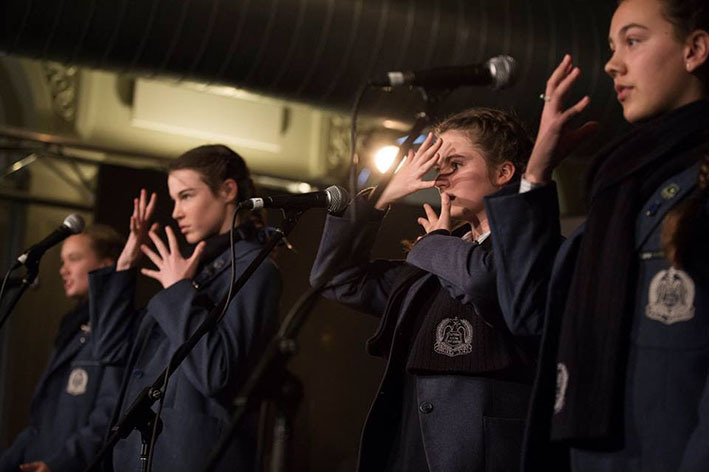 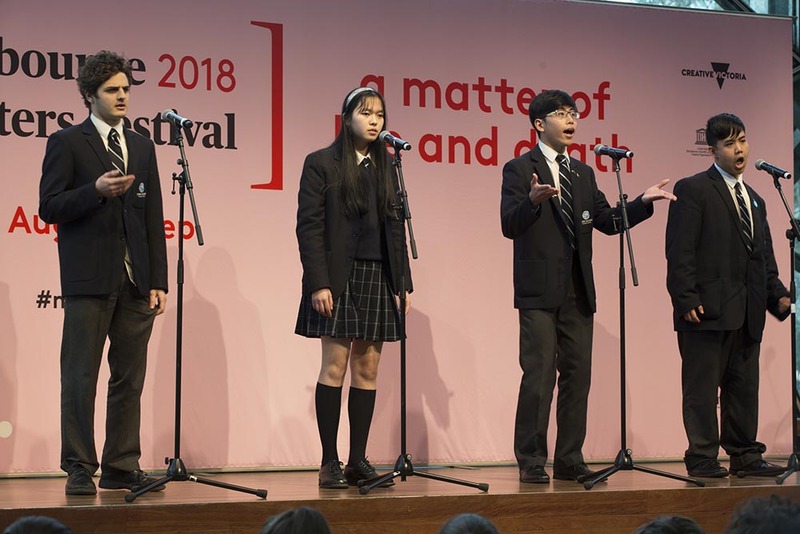 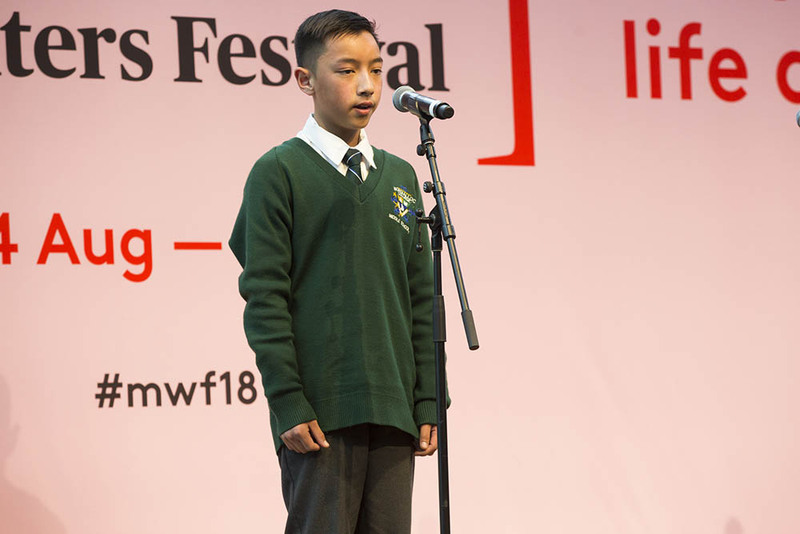 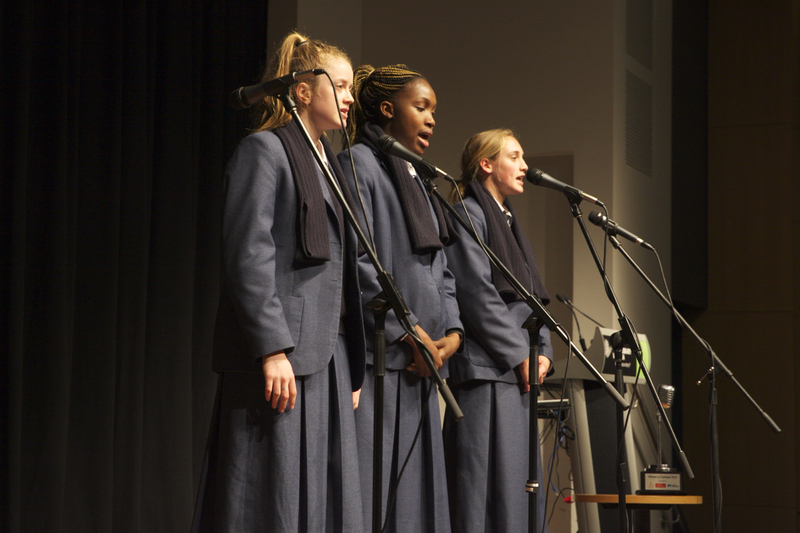 Schools in teams of UP to four students develop, edit, rehearse and polish an original spoken word poetry performance and then present their pieces to professional judges who score each act out of 10. 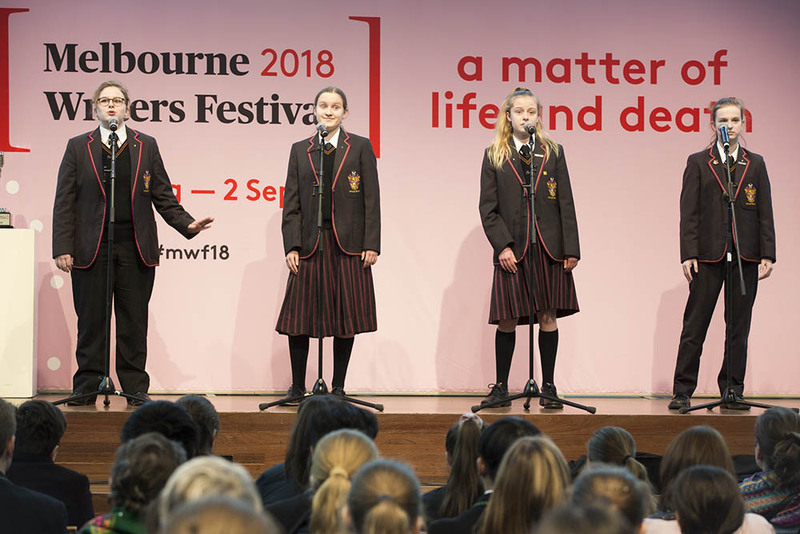 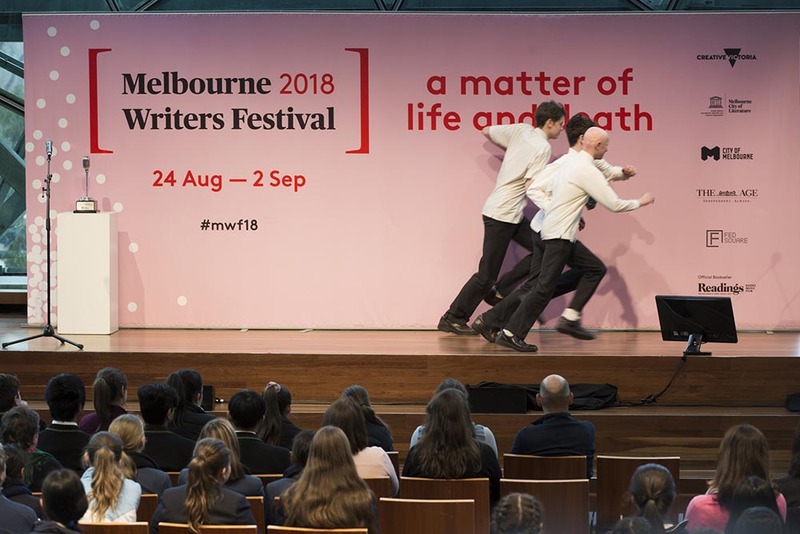 Heats will take place at Royal Botanic Gardens Victoria in August, and the Final on Tuesday, 3 September, 2.15-3 pm at State Library of Victoria’s Isabella Fraser Room, as part of the new MWF hub for 2019. 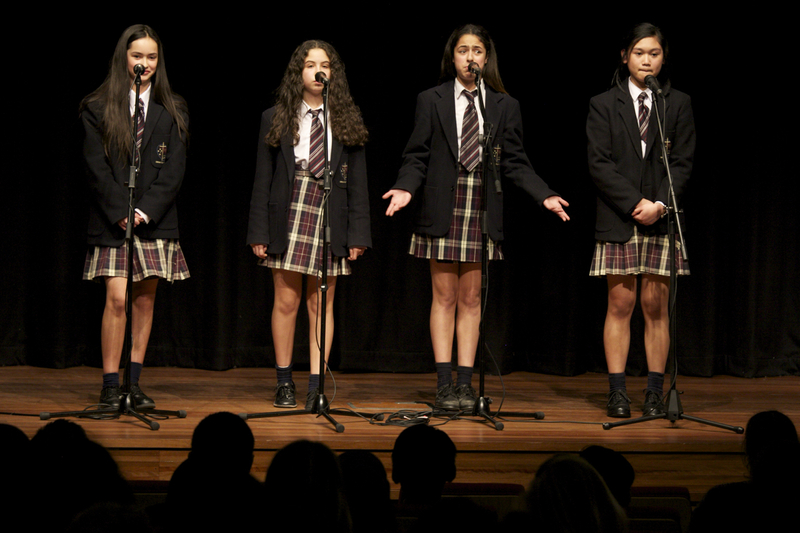 Schools can enter more than one team. 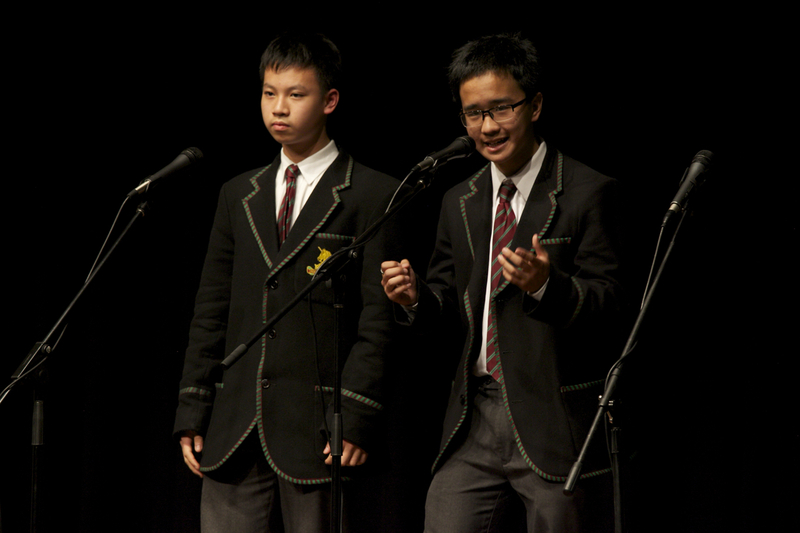 The first team has a registration fee of $275; second or more teams are $100 each. 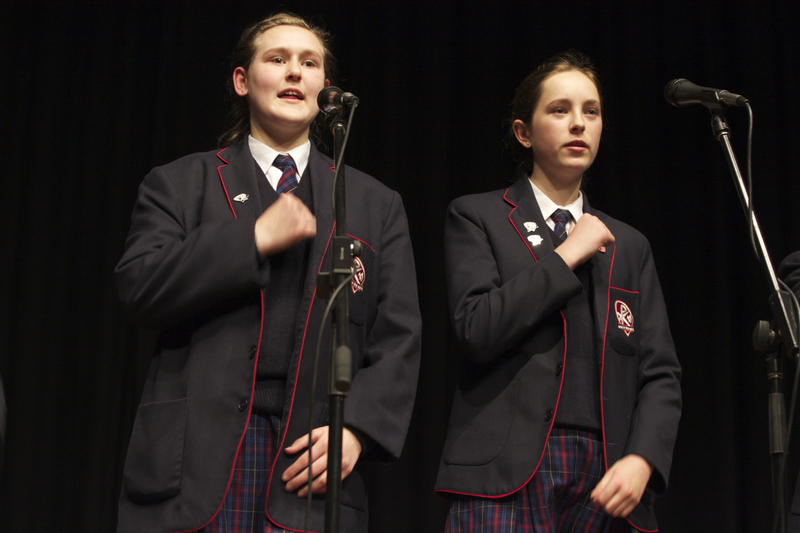 Only one team from any one school, however, can be selected for the Final from heats. 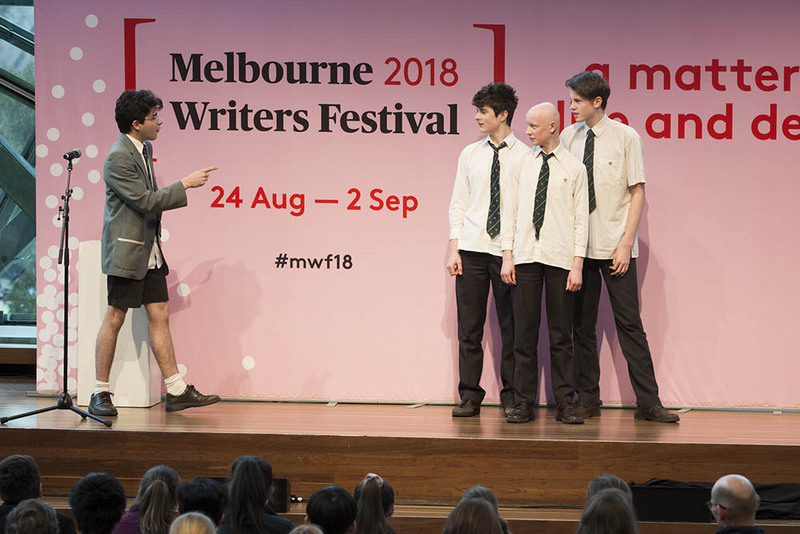 I’m glad you asked! 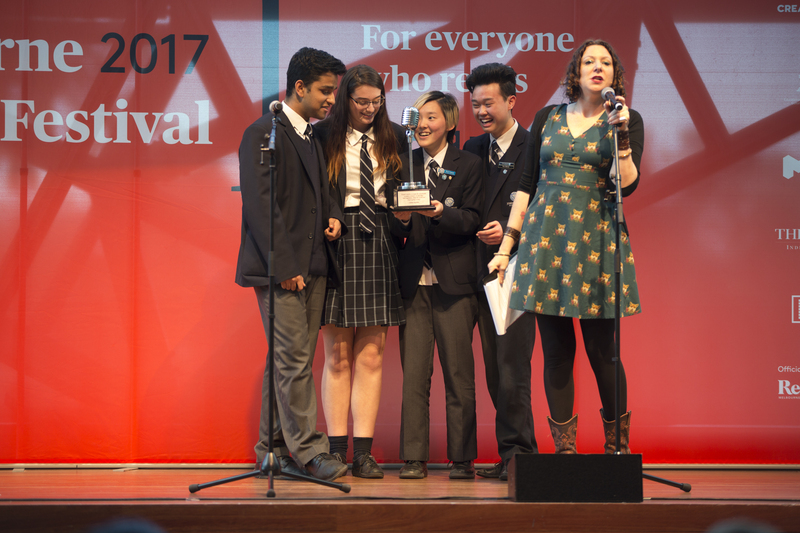 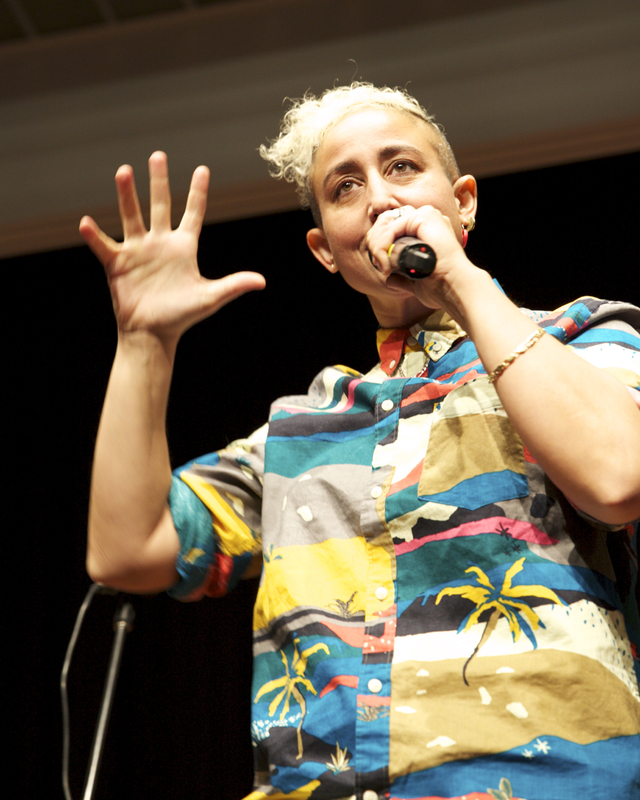 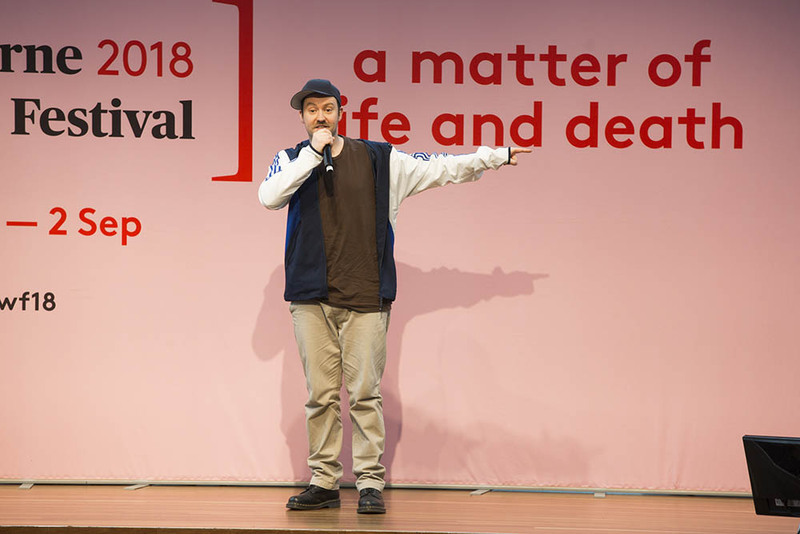 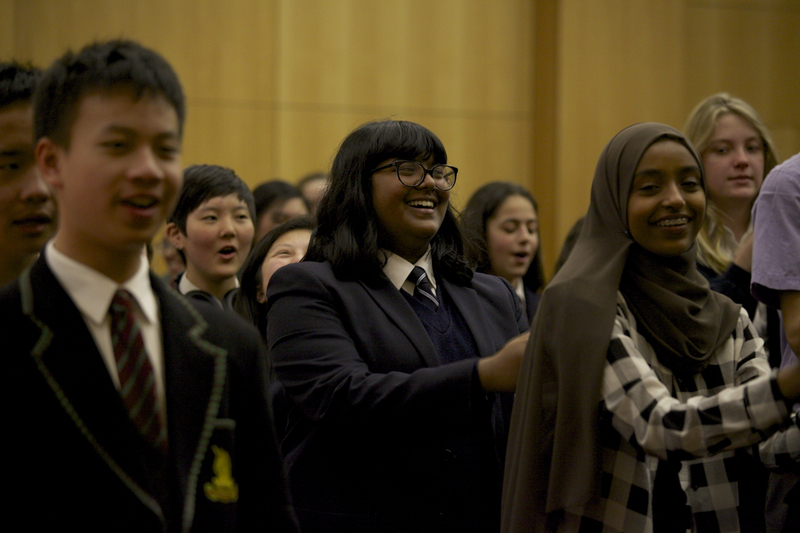 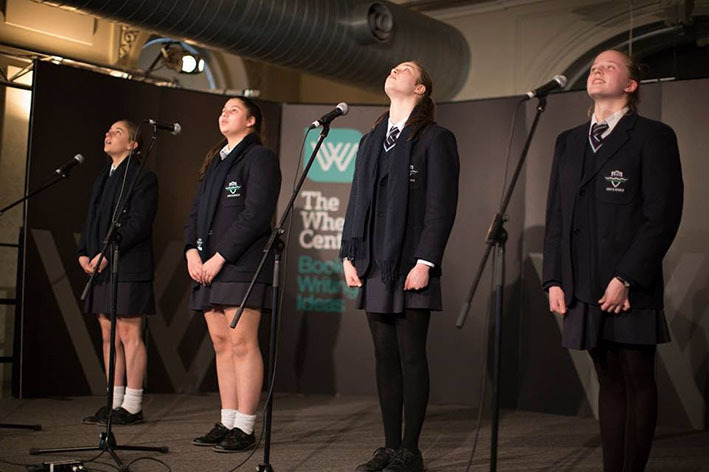 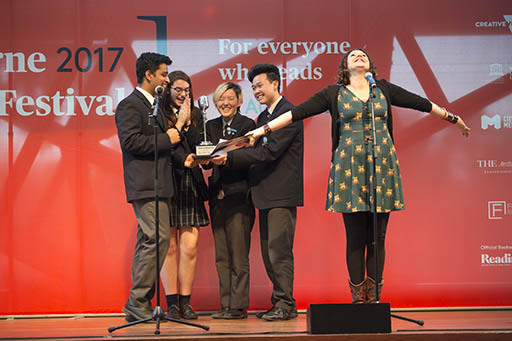 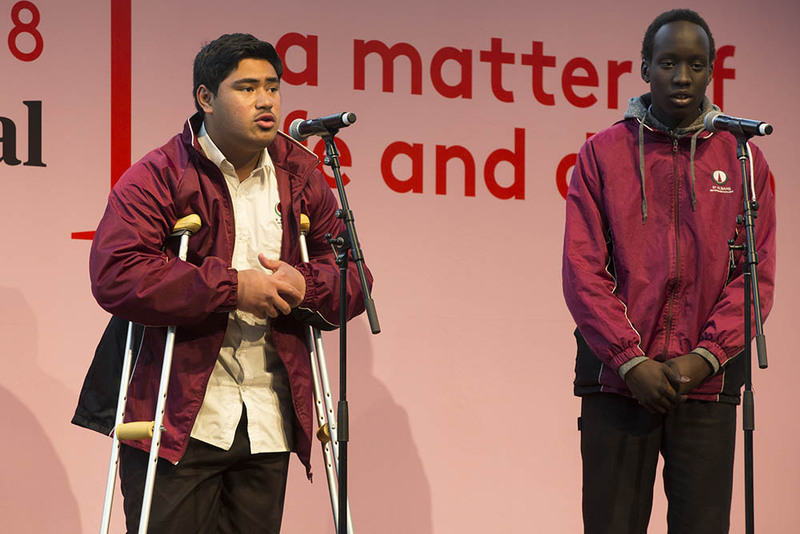 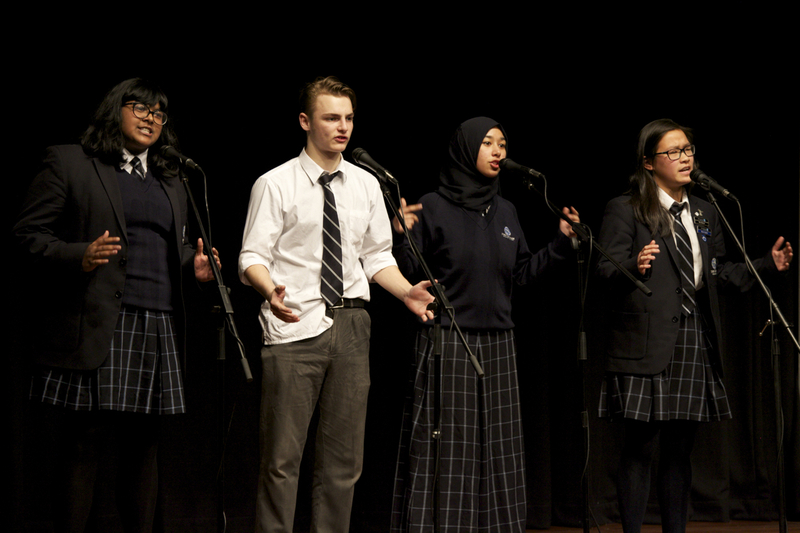 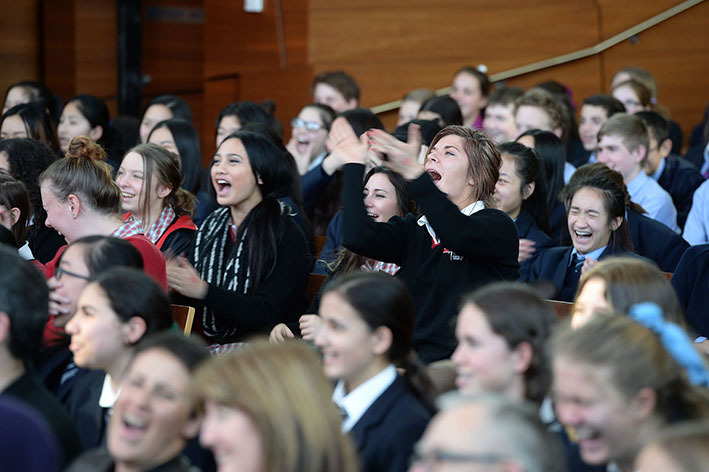 The winners receive a paid performance at the State finals of the National Australian Poetry Slam at the State Library of Victoria, a radio interview and a professional workshop with a leading internationally acclaimed hip hop artist and poet. 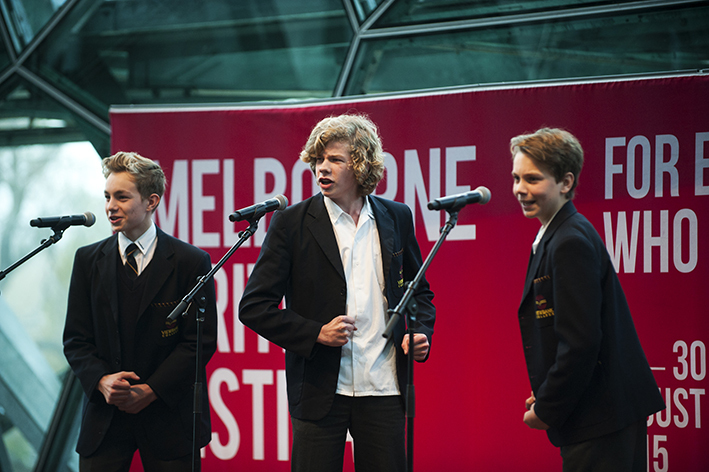 Poems are published on Australian Poetry and Red Room Poetry websites, and in AP magazines. 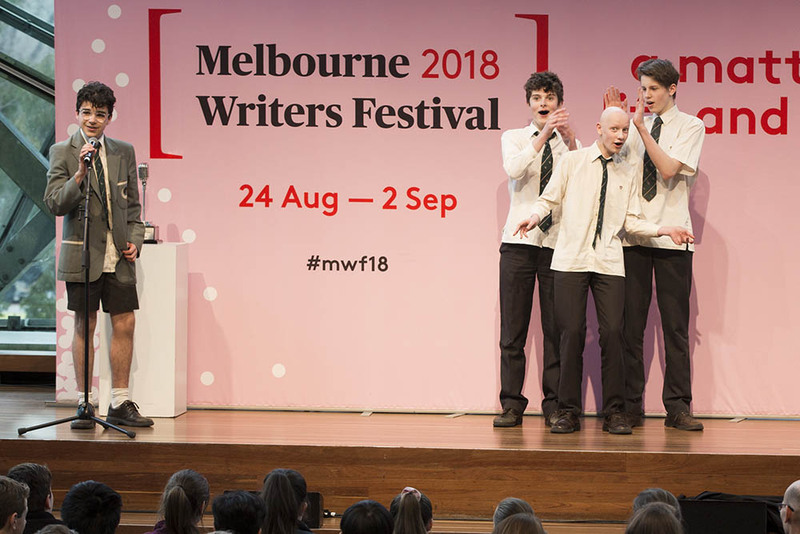 They also receive individual subscriptions to Australian Poetry (publishers of Australian Poetry Journal and Australian Poets Anthology) and Express Media (publishers of Voiceworks, Australia’s premier youth literary journal, publishing poetry, fiction, articles, comics and visual artwork by people under 25.). 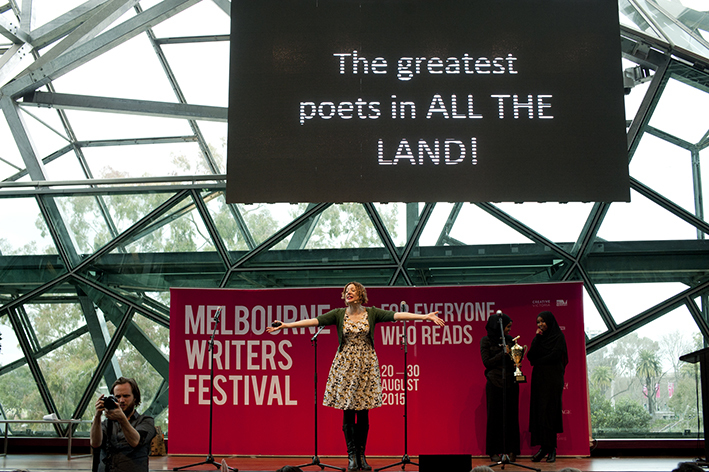 It will also rain glory and gold plated kisses from the sky. 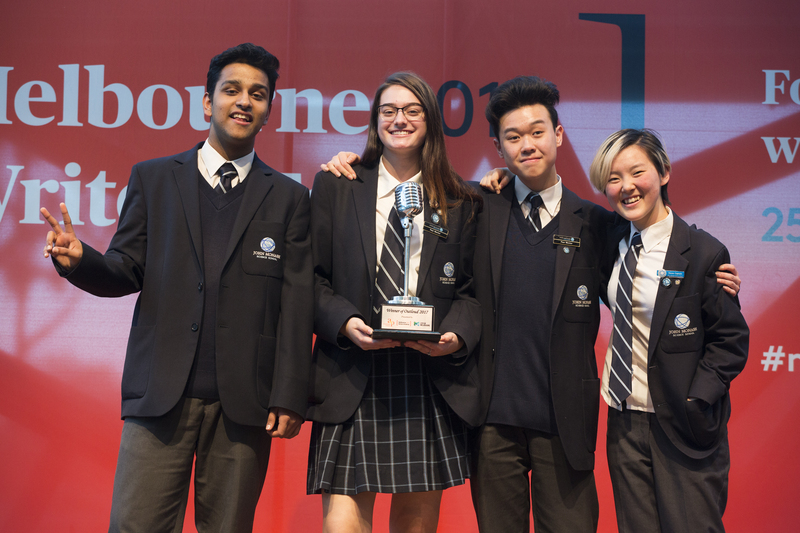 (Ok that last bit might not be true but there are some other sweet prizes including a trophy!) 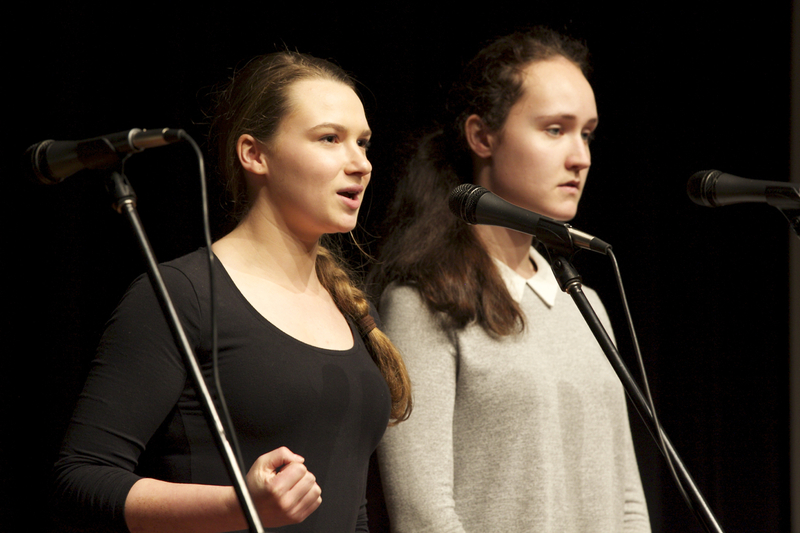 All heats and the Final will be professionally filmed and each school will receive a copy. 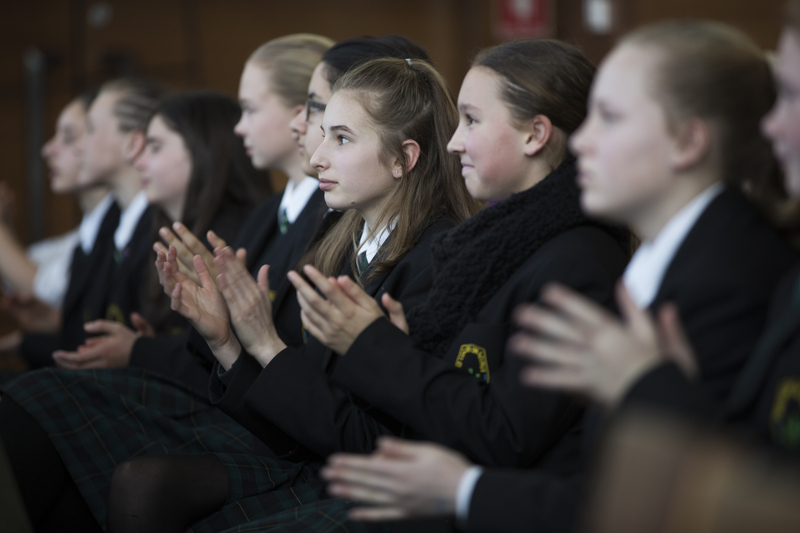 Workshops take place usually in June, but can be scheduled earlier or later if your school needs this – at the Gardens, or on-site at the school. 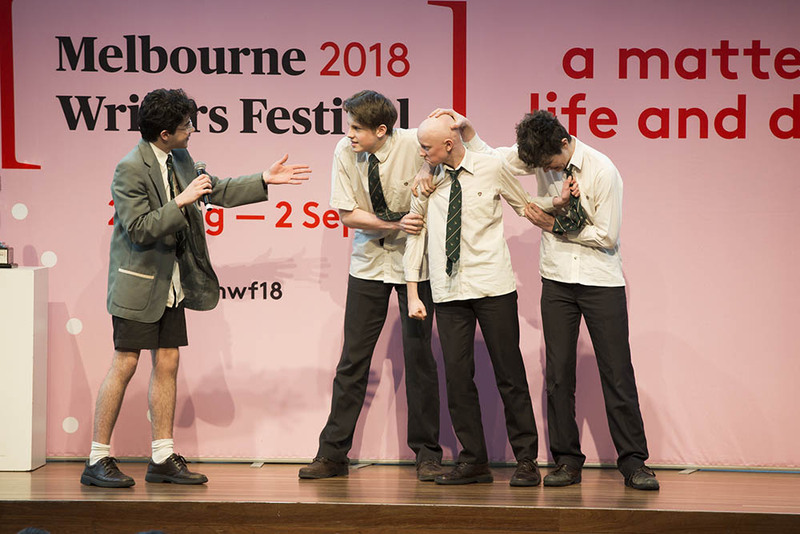 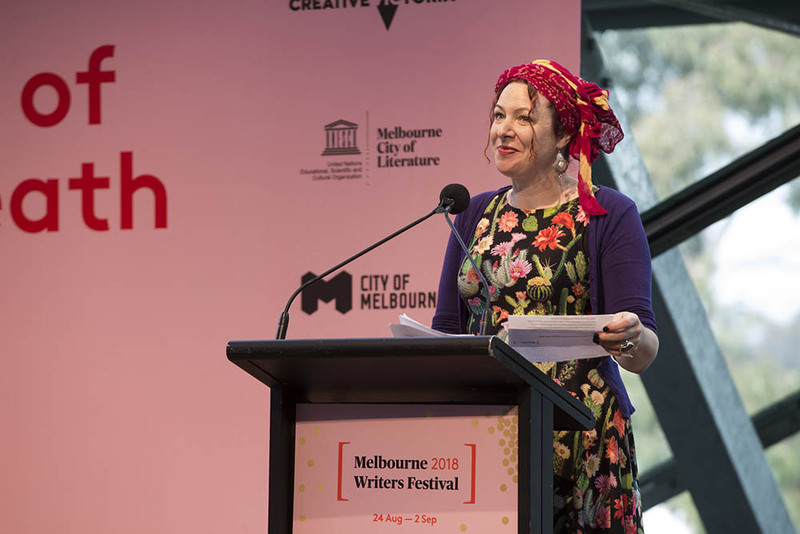 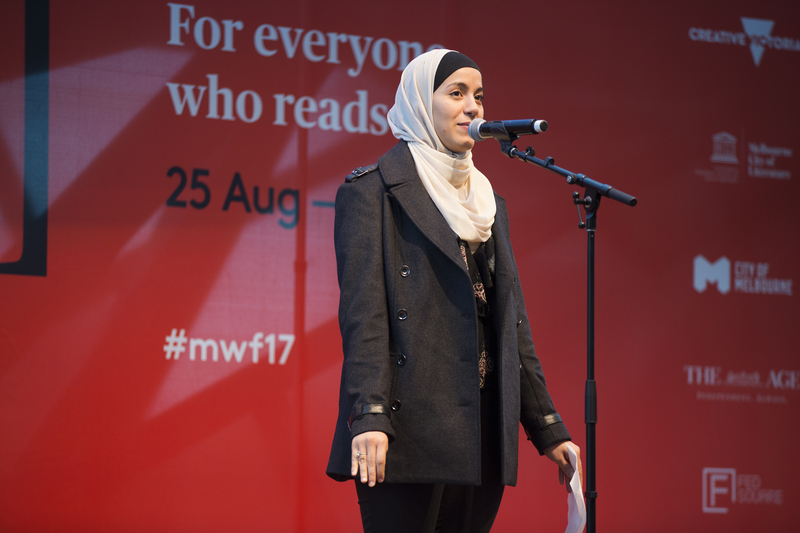 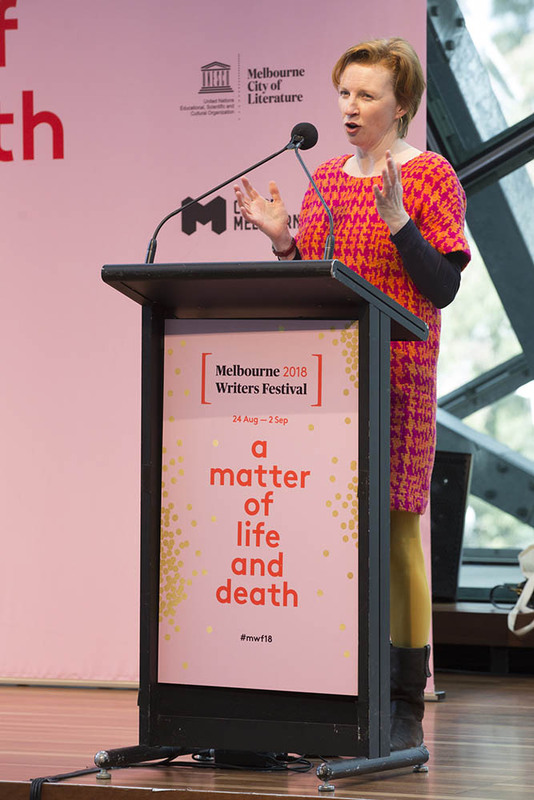 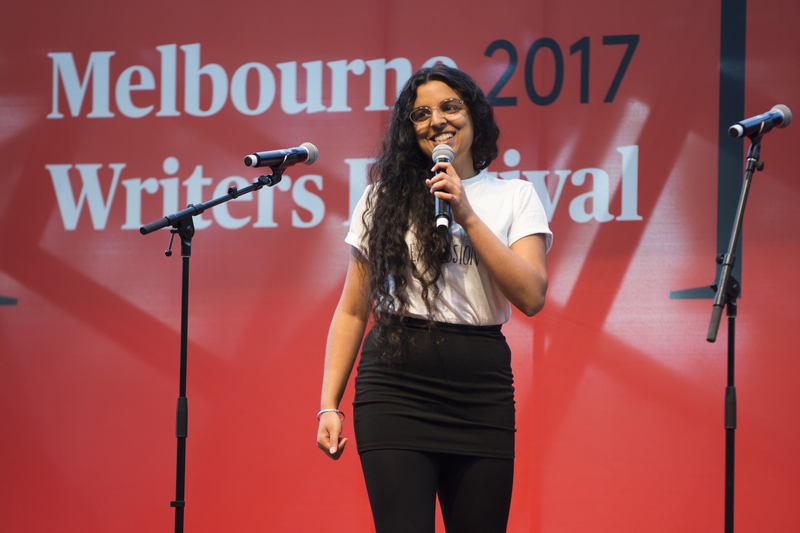 Heats take place in early to mid August, with the Final as part of Melbourne Writers Festival 2019 in the last week of August. 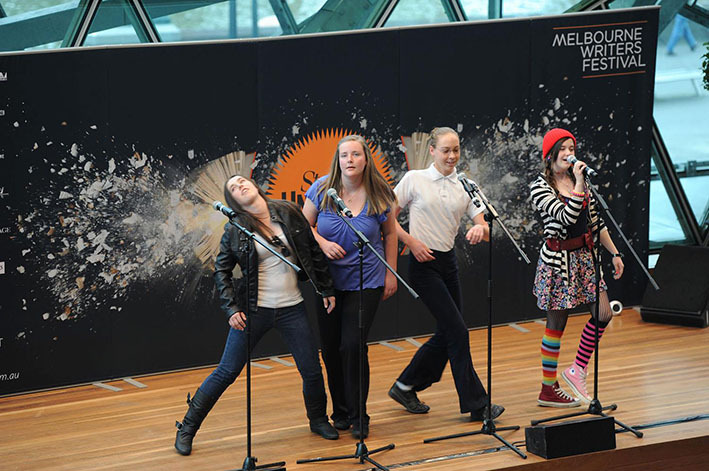 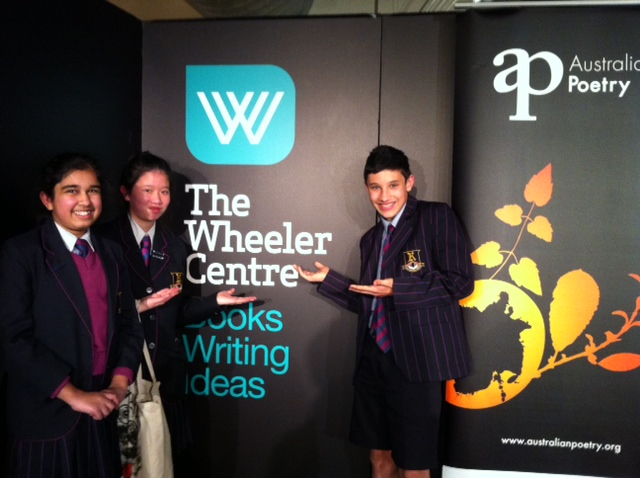 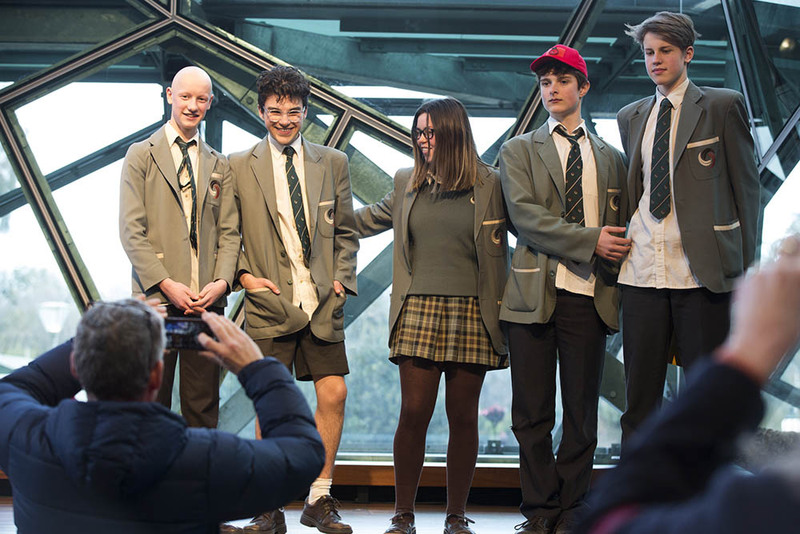 From humble beginnings in 2010, OutLoud as a secondary school competition has grown from four schools battling it out to a massive twenty plus competing in a number of heats with four schools in the two groups (Year 7-9, and Year 10-12) going through to a final as part of Melbourne Writers Festival. 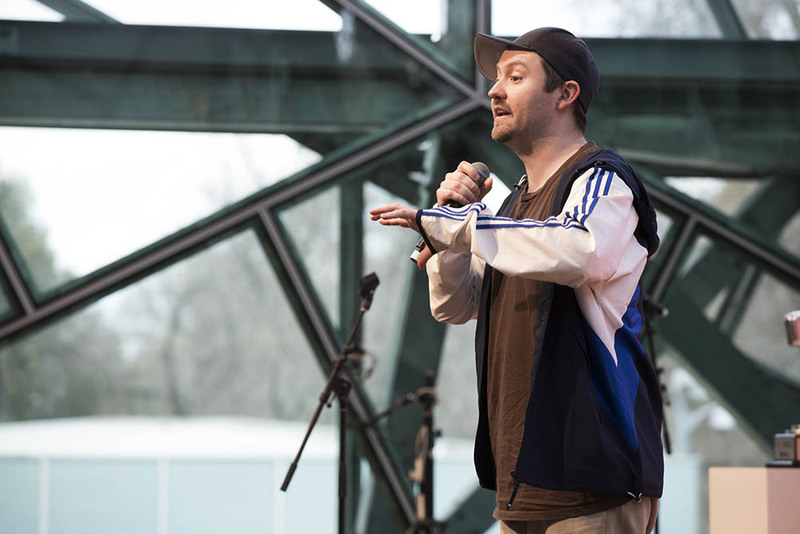 Past Judges of OutLoud have included Jason Steger (Literary Editor, The Age), Alicia Sometimes (Read with Raf 774), MANTRA (leading Australian hip hop artist), Abe Nouk (award winning spoken word performer), Michaela McGuire (Director, Emerging Writers’ Festival), Jo Case (Program Manager, Melbourne Writers Festival), Mahogany Browne (Curator Nuyorican Poets Café), and David Ryding (Melbourne City of Literature office). 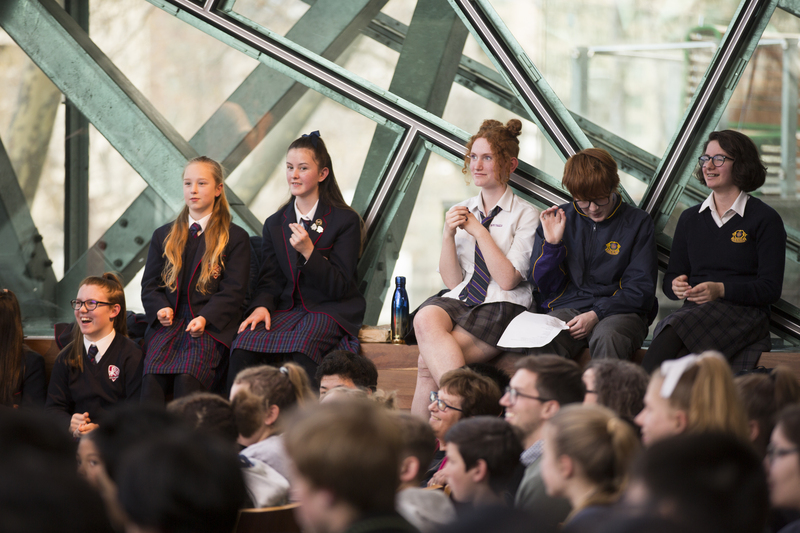 The best way is to fill out a registration form with your school’s details. 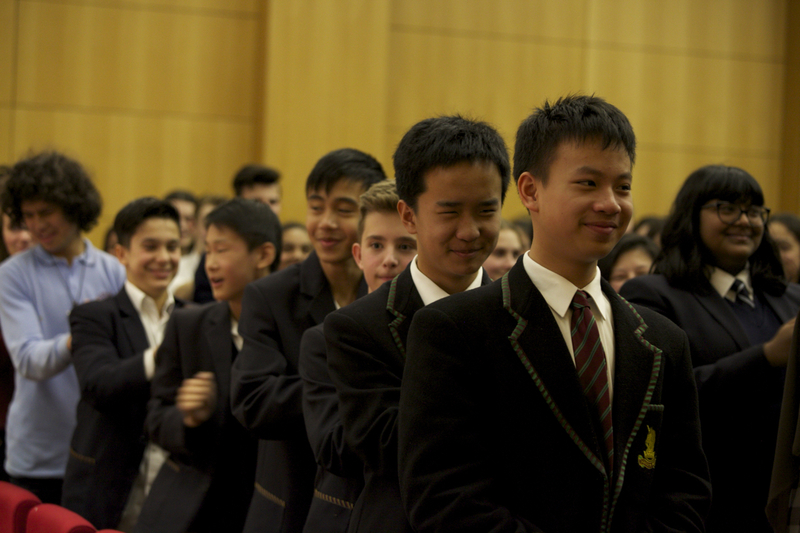 You can find the registration form here. 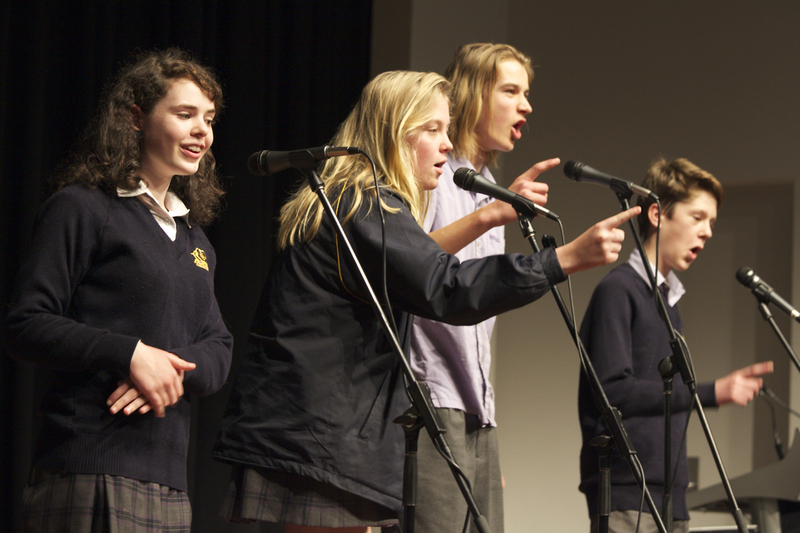 Go to our OutLoud YouTube Channel! 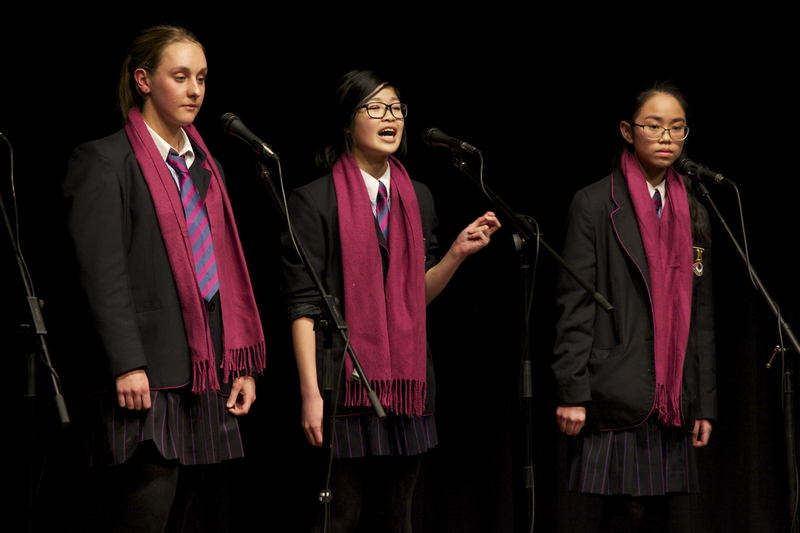 There’s heats and finals performances from over 40 schools. 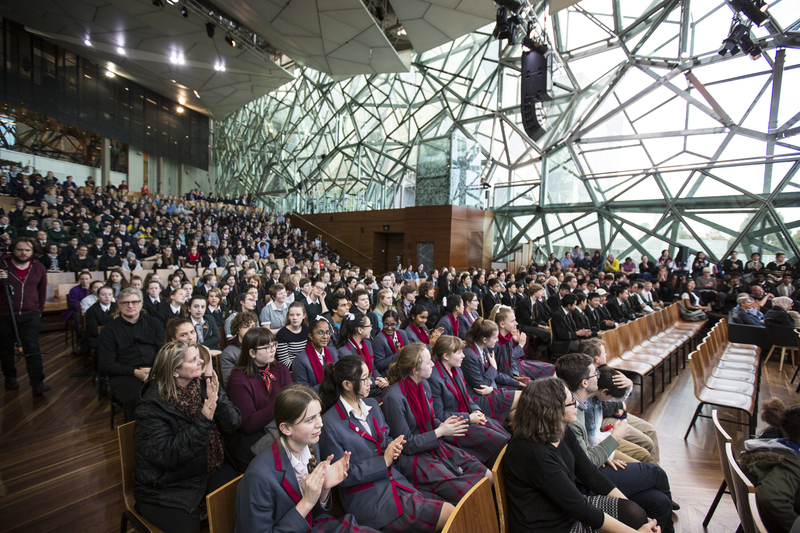 To view the gallery, click on the image. 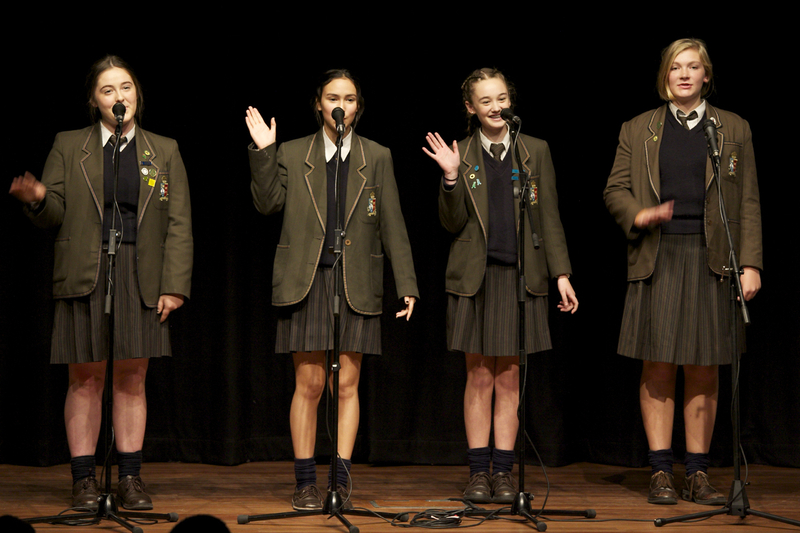 I wanted to say that I felt and observed that our students had a fantastically, insightful morning with MC Mantra. 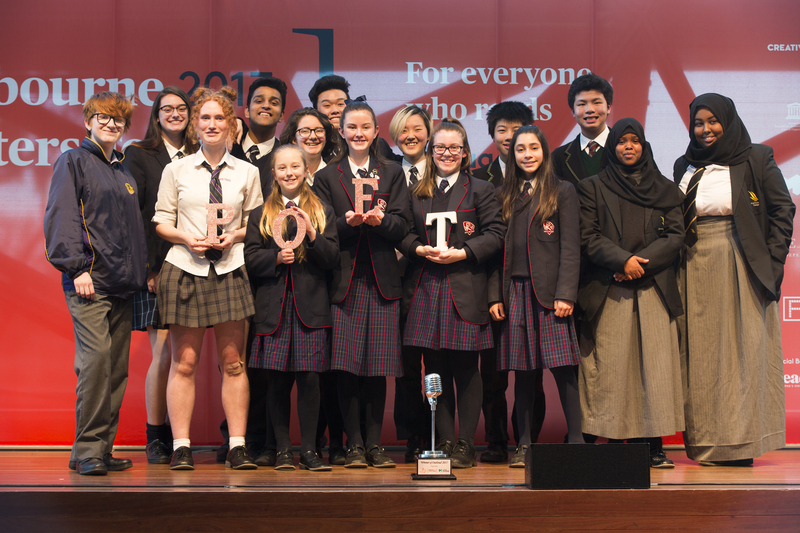 Our students were most graciously made to feel at home and his knowledge and insights allowed our students to produce some inspired words…and all these ingredients are a recipe for an exciting future. 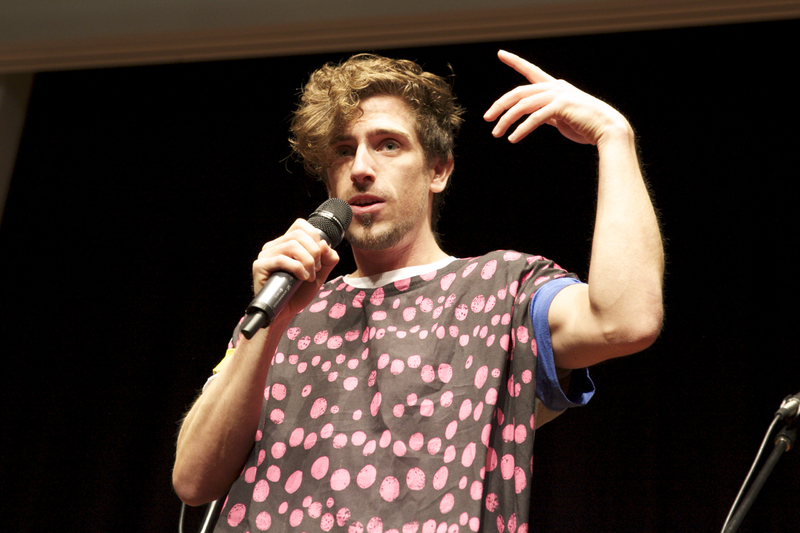 You’re doing amazing things.